D-Ribose occurs widely in nature. It forms backbone of RNA, a biopolymer that is the basis of genetic transcription. It is related to deoxyribose, as found in DNA. Once phosphorylated, ribose can become a subunit of ATP, NADH, and several other compounds that are critical to metabolism. D-Ribose is the material used in the synthesis of Vitamin B2(Riboflavin). 1. 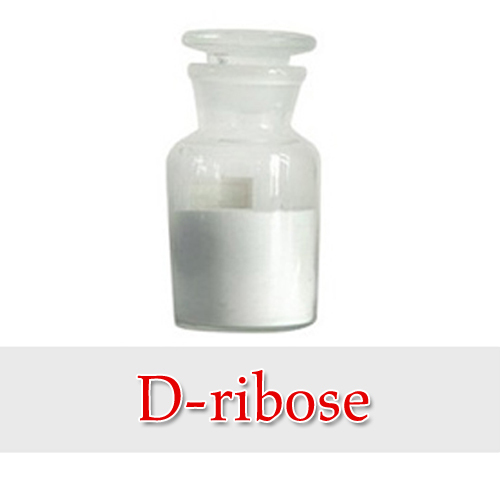 D-Ribose is an organic compound that occurs widely in nature. It is an aldopentose, that is a monosaccharide containing five carbon atoms that, in its acyclic form, has an aldehyde functional group at one end. Typically, this species exists in the cyclic form, as depicted in the upper right. 2. It comprises the backbone of RNA, a biopolymer that is the basis of genetic transcription. It is related to deoxyribose, as found in DNA, by the removal of one hydroxy group. Once phosphorylated, ribose can become a subunit of ATP, NADH, and several other compounds that are critical to metabolism. Looking for ideal D-Ribose Food Grade Manufacturer & supplier ? We have a wide selection at great prices to help you get creative. All the D-Ribose Pharmaceutical Grade are quality guaranteed. We are China Origin Factory of Nutritional Supplement D-Ribose. If you have any question, please feel free to contact us.